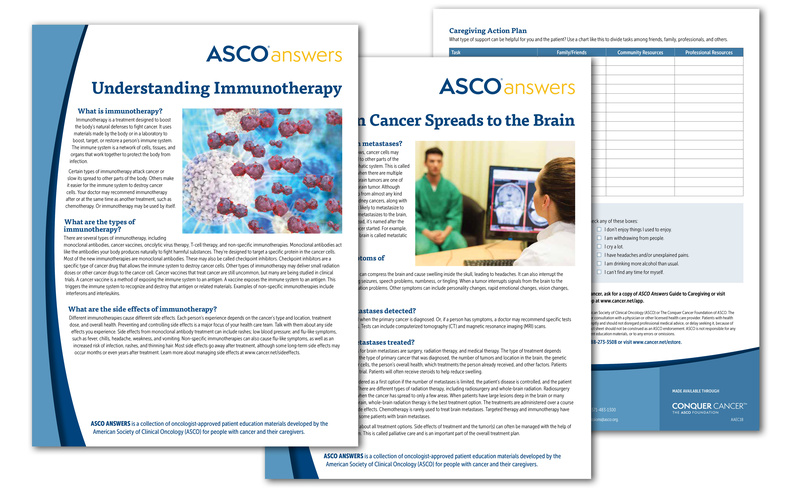 Below are several of ASCO's publications and resources for patients (view a printable catalog). 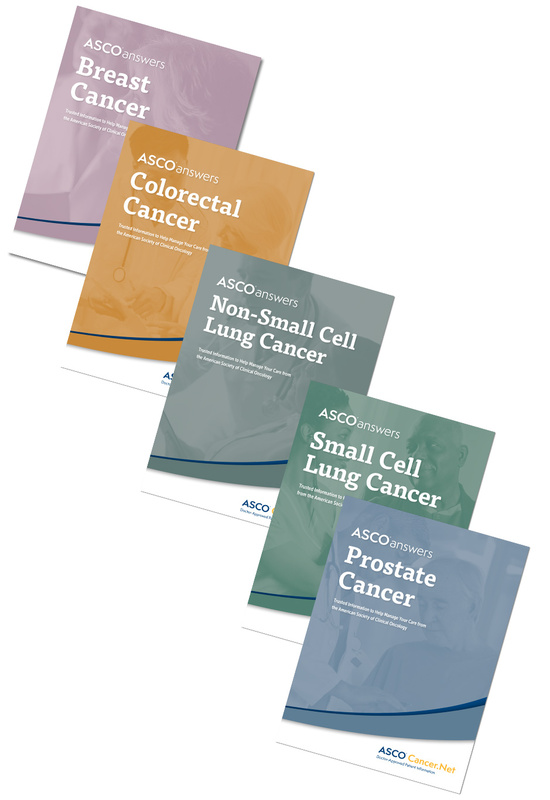 All of these materials can be purchased in bulk through the ASCO University Bookstore. 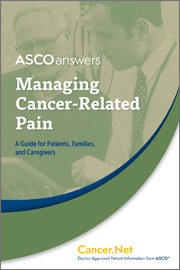 Several ASCO Answers materials are also available for download in Spanish. View a flyer to see Spanish titles or read below. 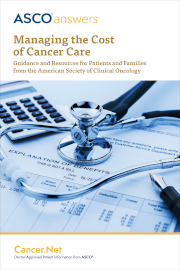 A one-page (front and back) introduction of a specific type of cancer or cancer-related topic, including an overview of the subject, terms to know, and questions to ask the doctor. Order printed copies in English through the ASCO University Bookstore. Multiple award winning guide that helps people understand what to expect after active treatment has finished, such as potential psychological, physical, sexual, reproductive, financial, and work-related challenges. 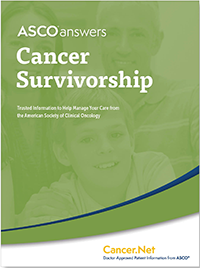 It also includes a blank treatment summary and survivorship care plan. 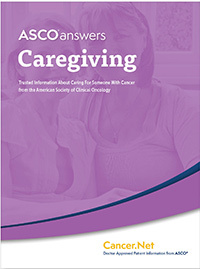 Workbook-style guide that helps people caring for someone with cancer. 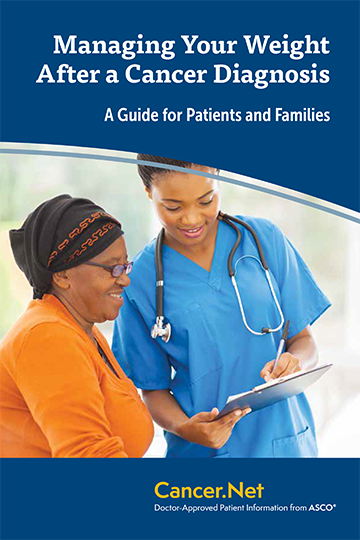 Includes practical tips, advice for communicating with family and the health care team, and blank pages to help track medications and coordinate caregiving tasks. 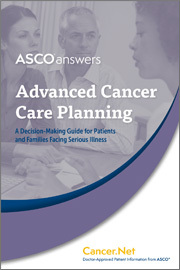 A booklet to help those after a diagnosis of advanced cancer better understand their treatment options, discuss these options for care, and find support. Download the PDF in English (32 pages). Download the PDF in Spanish (36 pages). Learn about the importance of pain relief, including its causes, how it is diagnosed, and types of pain-relief strategies. This booklet also includes a pain tracking sheet to help patients record how pain affects them. 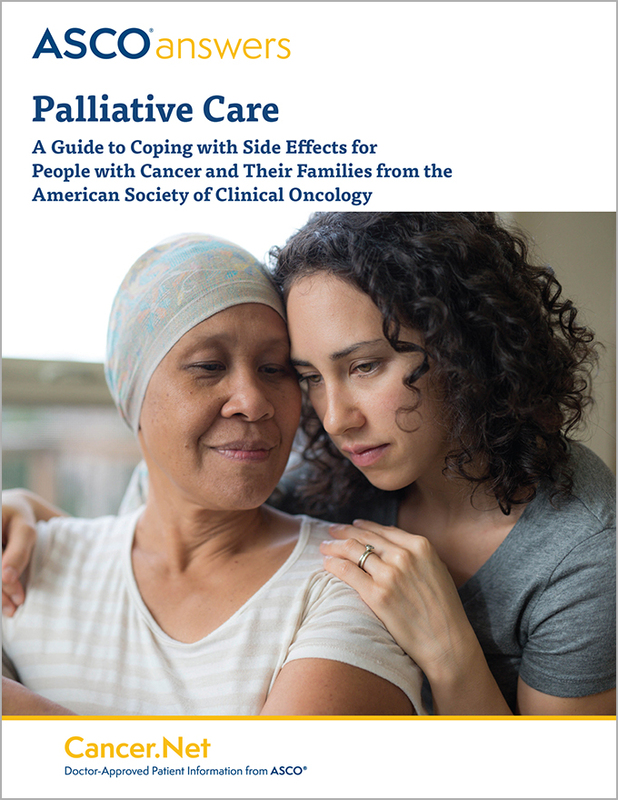 Learn more about receiving support and finding relief from the symptoms of cancer and side effects of its treatment, regardless of age or type and stage of cancer. 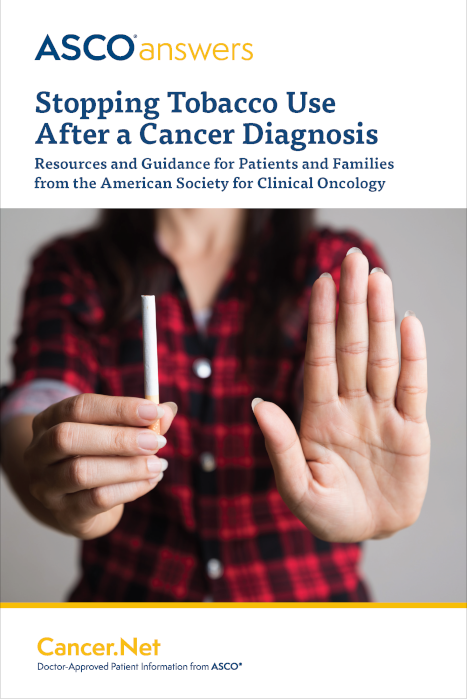 Information to empower people to talk with their health care team about quitting tobacco use, with resources to be successful.